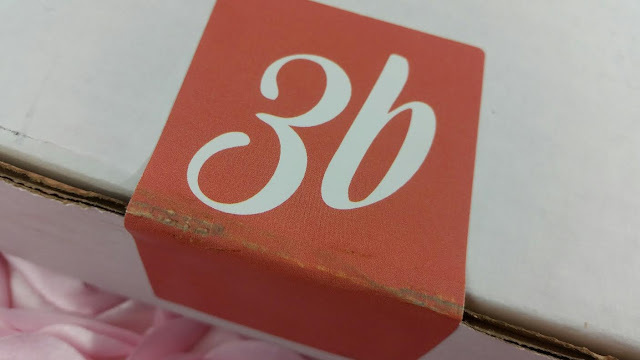 The 3B Box is an Asian beauty subscription that sends beauty and skincare products from Korea, Japan and Taiwan to your door every month. If you are curious about Asian beauty or you are just starting your collection (or obsession), this is a fun way to start. The 3B Box curators tend to find a good balance between new brands and old favorites. This box has both, at least for me. Plus, the luxury brand Sulwhasoo is included, too! 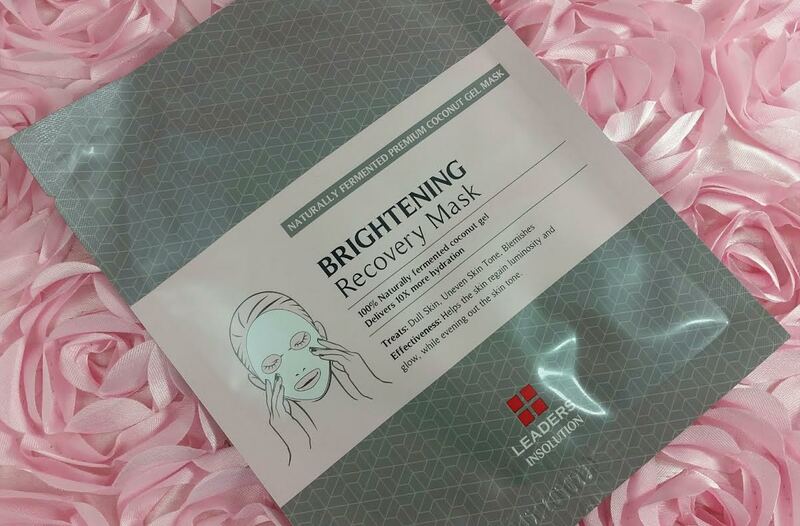 Leaders Brightening Recovery Mask- First off, I like the Leaders brand. They have a TON of sheet mask lines and I've tried many of them. This one, however, is new to me and I'm excited to try it. It does have a solution of witch hazel which includes alcohol so it'll wait till a day I'm feeling excessively oily. Other than that, the brightening agent is niacinamide which is proven to work on brightening your skin and evening your skintone. Yay! 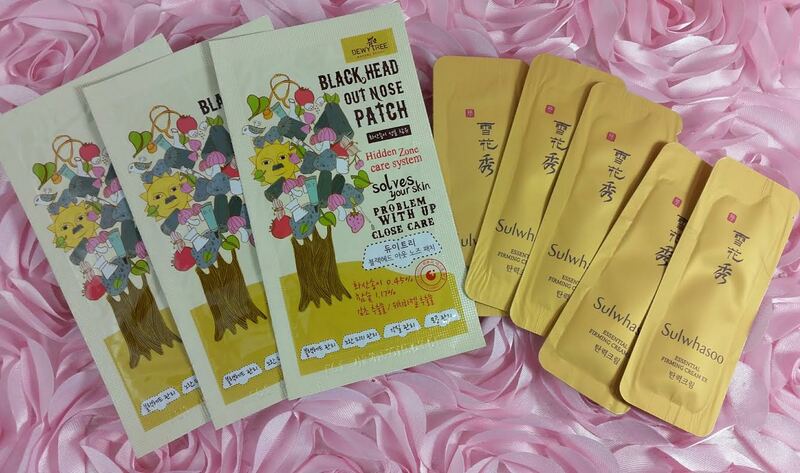 Dewytree Blackhead Out Nose Patch- There are three of these and they are nose strips like Biore only they're made with volcanic ash and charcoal extracts. I love these things! I'm glad there's three, I'll use them all. Plus I'm partial to anything made with charcoal. Sulwhasoo Essential Firming Cream- Initially I was a little disappointed to see sample packets but they did include a good number. And it's Sulwhasoo which is prohibitively expensive for many people. I can't justify spending that much on a product when I can get something similar for less. However, many people swear by this brand and since I've never tried the firming cream, you know I'm going to be using these. The other reason I don't mind these is that they're perfect for traveling and for touchups on the go. I keep foil samples like this in my purse. Skinfood Royal Honey Propolis Essence- Propolis is a favorite ingredient of mine. It's antibacterial and anti-inflammatoryl, is excellent for acne prone skin (although if you're allergic to bees, use caution. It's not the venom but you never know.). This particular essence usings black bee propolis, royal jelly and royal black honey extracts. It's recommended to use this after toning but I think I will use it after a moisturizer instead, given it's occlusive nature. I'll try it both ways and see what I like best. 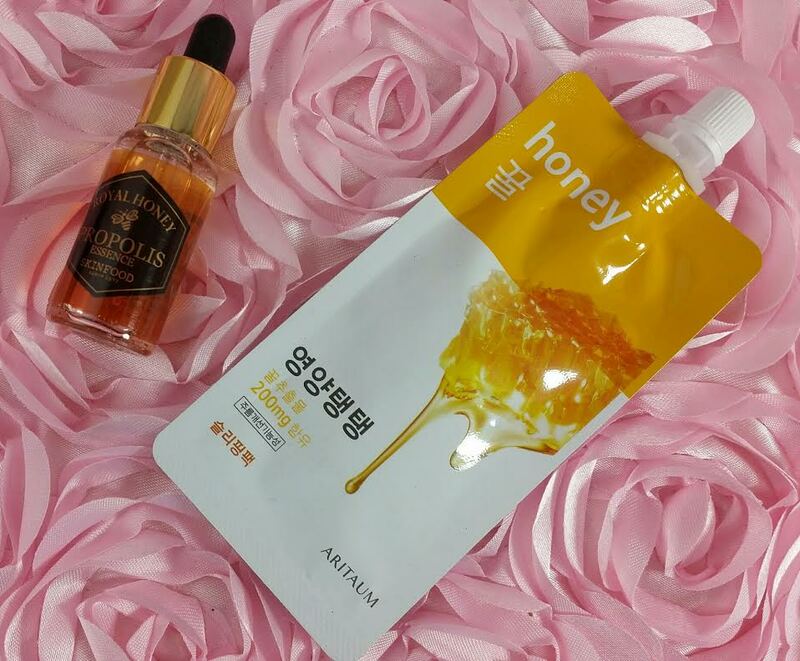 Aritaum Honey Essence Pouch Sleeping Pack- This is a moisturizer you slather on your face before bed. Wake up in the morning and rinse it off to reveal your glowing skin. This also uses honey so it'll make red, sensitive or acneic skin pretty happy. VERDICT: I think this is a great subscription for those just experimenting with Korean beauty or just starting to discover the wonders of the Asian beauty routine. If you're already a hardened kbeauty professional, you'll likely have tried a number of the products that get included over the months. If you're curious about kbeauty, this is a good place to start because they tend to send reputable brands and interesting/unusual products along with the types we are more used to. It is a sample box, so keep that in mind. While you may receive full sizes, they aren't standard. I find they do tend to be skincare heavy. If you consider the Asian beauty routine, there is far more focus on the skin and keeping it hydrated and beautiful than there is on makeup. If you would like to sign up for The 3B Box, you can do that right here. Right now you can just sign right up! Previously they were operating on a waitlist but it looks like that is gone! Woohoo! What did you think of this month's box? Anyone have thoughts on the Sulwhasoo cream? I haven't tried it yet. And, that Sulwhasoo cream is da bomb! I have a new ten-pack of 5ml mini-jars waiting for me to finish with my current night cream and return to it. I could never pay the original price for their products (that is, until I win the lotto,) but man, most everything Sulwhasoo I have tried was magical. Well, that settles it! I'll start using the Sulwhasoo right away! I'm with you on the whole lotto thing, though. Whew! Darn it! I got 3 months of ok-to-good 3B boxes and then canceled b/c I needed to cut back… and then this is the next box they send - which I would have LOVED! Oh well. Isn't that always the case?! That's basically my story with Boxycharm. Ugh. Every time!